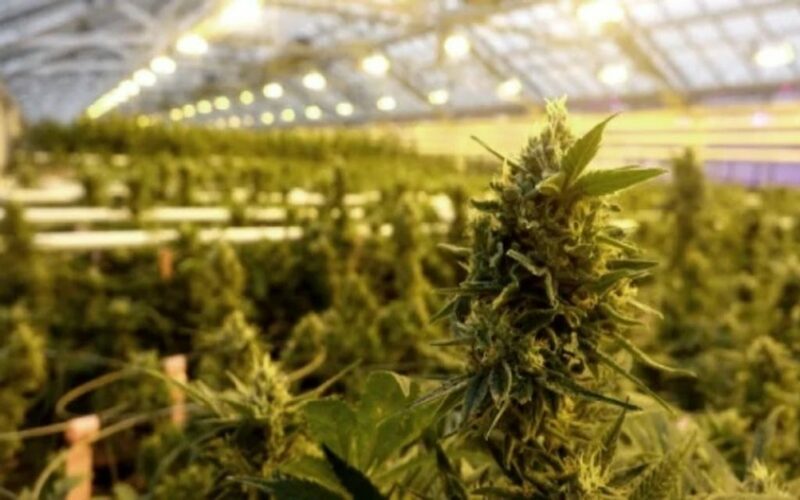 After rising in an upwards trajectory for the better part of five weeks, Aphria Inc (TSE:APHA) (NYSE:APHA) (FRA:10E) has finally broken out. The move has been definitive, as APHA finally unleashes the last vestiges of Hindenburg Research doubt. The market is telling us that ship has officially sailed. At this point, there’s hardly necessity to recap this whole nefarious affair. Hindenburg’s December 3rd report titled A Shell Game with a Cannabis Business on the Side rocked confidence in Aphria to its very core, sending shares tumbling ↓52.42% over the following three sessions. And we’re not even including ancillary front-sell price action, which saw Aphria tumble ↓39.31% in the November 7-30 period—almost twice the rate of Horizons Marijuana Life Sciences Index ETF (↓21.12%). Needless to say, it’s been a hairy last few months. With Hindenburg’s grip now in the rear view mirror, APHA is making up for lost time. The stock has managed a convincing breakout of a 5-week long upper consolidation formation today. More specifically, a clear inner rising wedge pattern—in conjunction with a series of hourly higher-highs and higher-lows and muted selling pressure—told us a big move was imminent. And then today happened. Slight error on my part: Substitute "Lower Highs" with "Higher Lows" on the chart. Today’s move is the by-product of a management team that made a concerted effort to starve the narrative of oxygen, while defaulting to third party defense mechanisms. Just days after CEO Vice Neufeld promised a “line-by-line rebuttal” to distraught investors, Aphria made a hush-hush U-Turn. Three days after the Hindenburg strike, Aphria announced its Board of Directors had appointed a special committee of independent directors to review its LATAM portfolio. The “line-by-line rebuttal” promised by CEO Vic Neufeld was quickly memory-holed, replaced by platitudes of allowing the Special Committee to conduct its findings. Quietly, Mr. Neufeld’s common press release quotes were replaced by other C-Suite executives—most notably Jakob Ripshtein. Three weeks later, Aphria appointed Irwin D. Simon as independent Chair of Aphria’s Board of Directors. The appointment of an independent Chair was purportedly made to advance the company’s governance best practices, which was a key element of investor angst stretching back to the Nuuvera deal. The emphasis of the appointment was clear: Aphria sought to project an image that strong corporate governance, integrity and ethical behavior would be in-focus going forward. Around the same time, Green Growth Brands unsolicited bid provided APHA shares a “floor” of value—at prices around 45% higher than then-current levels. Engineered or not, it provided a tangible price investors could expect to receive in a conservative takeover scenario. Again, it was a most opportunistic distraction. Subsequent defenses by Scotiabank, Haywood Securities, Citron Research and a multitude of Twitter supporters have effectively made Aphria’s case for them. This outcome was desirable in many ways because it disallows pending class-action lawsuits of parsing public statements looking for inconsistencies, while allowing “impartial” third-party actors to carry the baton. One, in fact, was a known short-seller, which further eroded what little facade of credibility Hindenburg maintained. Finally, Aphria took the additional step of convincing long time CEO Vic Neufeld to “step down”, progressively distancing itself from a purveyor of alleged LATAM malfeasance. The company initiated the maneuver in concurrence with its Q2 2019 post-earnings report conference call, with Mr. Neufeld citing “health, family and personal priorities” as primary reasons for stepping down. Somehow, we doubt that. Original company co-founder Cole Cacciavillani is also departing the company—a telling sign that Vic’s departure was undoubtedly coerced. While Aphria’s crisis management methodology won’t make everyone happy, it has been unquestionably effective. Remaining detractors have effectively become euthanized over time—fringe lone voices in the wilderness. The company’s bet to allow proxies to work for them has paid off—to the point where dredging up a rebuttal would constitute more risk versus letting sleeping dogs lie. Today’s price action is ultimate validation of this sentiment; but so too is APHA’s behavior over the past month. With today’s move, Aphria has outperformed peers Tilray and Aurora Cannabis, with overall performance trailing HMMJ just slightly. Considering the powerful rising wedge formation’s technical attributes—along with persistent acquisition chatter—I suspect there’s considerable more upside to come. The simple 200-Day moving average at $12.44/share is our first “watch” target.